Explaining the concept of the Anthropocene, Nixon pointed to the work of Eugene Stoermer, who coined the term in the 1980s as a way to account for the fact that human impact on the planet was becoming such that it would be registered in geological records. The way that humans’ “centralised species agency” interacts with a myriad of ecological processes, undertaking large-scale conversions of land and causing increasing biodiversity loss, is inextricably bound up with the divergence in wealthand the differential agency within humans themselves. Therefore, the differential exposure of “the great acceleration” plays out along the lines of “the great divergence”. Combining these concepts allows us to recognise who constitutes this “we” that is the force of change. Anthropocene scholars often talk about ‘humanity’ as the “we”, but the great divergence shows that there are highly unequal patterns of consumption and ecological impacts, with a small amount of the population being the real drivers of ecological change. In other words, Nixon pushes us to think of the political in these ecological processes: the power relations and structural forces that shape unequal benefits and costs of ecological change. To address this inequality, Nixon brought in the concept of slow violence. When we think of violence, we tend to think of it as immediate events that are cinematic, spectacular. This is the kind of violence that the media and the state usually pay attention to. Slow violence is instead a long-term form of aggression: it is gradual, process-based, without a clear agent (“the protracted, convoluted vapour trail of blame”, as he mentions in his book) and not necessarily targeted at specific bodies. In other words, it is violence as process rather than violence as spectacle. This slow violence operates in what Nixon called “extractive time”, where there is no view of the long-term or the future generations. It treats people and ecosystems as disposable – as if they did not exist – and this invisibility makes them more vulnerable. Nixon’s concept recalls that of “silent violence” developed by Michael Watts in one of the founding works of political ecology (Silent Violence: Food, Famine, and Peasantry in Northern Nigeria, 1983, University of California Press), to refer to the invisible violence exerted on peasants by capitalism, through its alteration of local food production, consumption and security, and manifested periodically through famines. Within the current political structure obsessed with short-term gain, it is almost impossible for political elites to deal with slow violence. Yet, as slow violence has become more intense with the great acceleration, so have marginalised groups’ mobilisations against it – what Joan Martinez-Alier called “the environmentalism of the poor”. 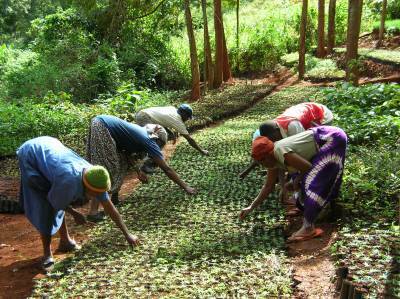 Wangari Mathai’s Green Belt Movement is an example – she directed a campaign that planted millions of trees to restore eroded soil, combat deforestation and prevent violence in the future, fighting with the conviction that “losing topsoil should be considered analogous to losing territory to an invading enemy”. The process of deforestation and soil erosion, not being spectacular violence, was often perpetrated by the government or with its support and did not gather the attention and resources it should. Mathai’s creative resistance, through the strategy of planting trees, made the problem visible at a national and global level – it “inverted the syntax of violence by naming the agents of destruction” (Slow Violence, p. 136; see also the documentaryTaking Root, which provides an excellent portrayal of Mathai’s vision and her Movement). The trees may take decades to grow, but the movement and its ideas have taken root. The indigenous Amazonians’ protests in Bolivia against a road that would have crossed their territories, where protesters marched to La Paz from the Amazon in 3 months, gathering different tribes along the way, is another example of these resistances. These could be considered as practices of “slow resistance”, and the affirmation of ideas of time radically different from the “extractive time” frame that always favours the immediate. How can art contribute to making slow violence more visible? The challenge for civil society remains to make these processes of slow (less visible and non-dramatic) violence urgent, and for this, we need not only creative discourses and actions, but also to change peoples’ perceptions. Nixon concluded by offering magnificent examples of how visual art can be used to challenge the invisibility of slow violence, pointing to the work of activists and artists that in their works are able to draw analogies and to resonate common, underlying themes and connections between struggles in different parts of the world. For instance, the work of Chris Jordan explores in his project “Midway” the effects of relentless production and wild disposal of plastic items ending up in the stomach of birds thriving on an apparently pristine environment on an island in the middle of the Pacific Ocean. 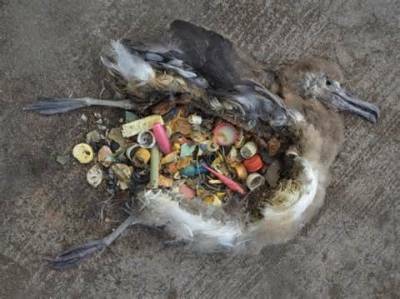 The powerful image of decomposed birds’ bodies engulfed by plastic scraps coming from our everyday use speaks of the large, unintended effects of our production system and life styles. 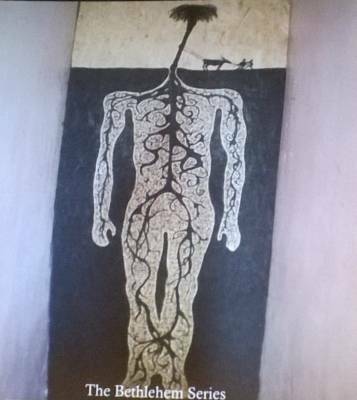 Also worth mentioning is the drawing by Banksy, part of the “Bethlehem Series”, which depicts a body whose head is a tree in the process of being cut off, and whose veins are the tree’s roots; it brings together the biological and geological, the human and non-human, in a powerful way. As researchers engaged in political ecology, the challenge is how we can integrate our work with these movements and other non-academic forms of writing and diffusion of ideas, such as film and art. The Festival promises to offer an initial dialogue to begin building this task within ENTITLE.